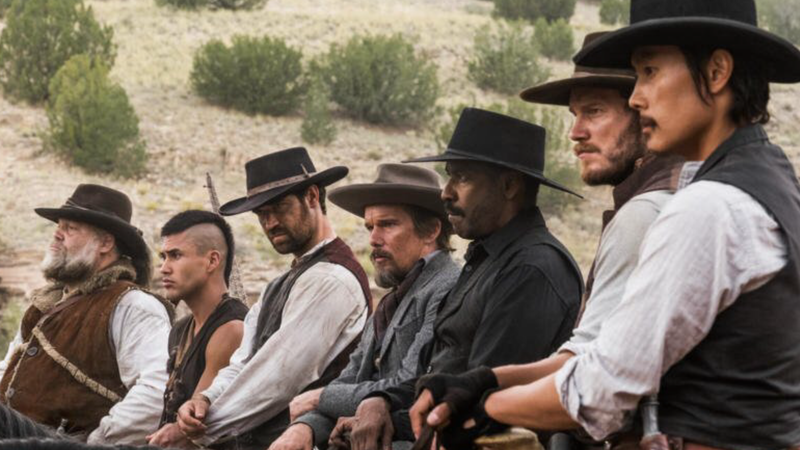 As the new Magnificent Seven film is released for home viewing we consider how the seven films now bearing the same plot stack up against each other. A group of men persuade an ageing gunslinger to help protect their rural village from group of vicious bandits. Working for much less than his normal fee the cowboy gathers together a group of six other experienced fighters and along with the newly motivated and battle trained farm folk they defeat those that had been terrorising them. This comes at a cost though as only three of the warriors survive. In the original film a man persuades an ageing samurai to help protect his rural village from group of vicious bandits. 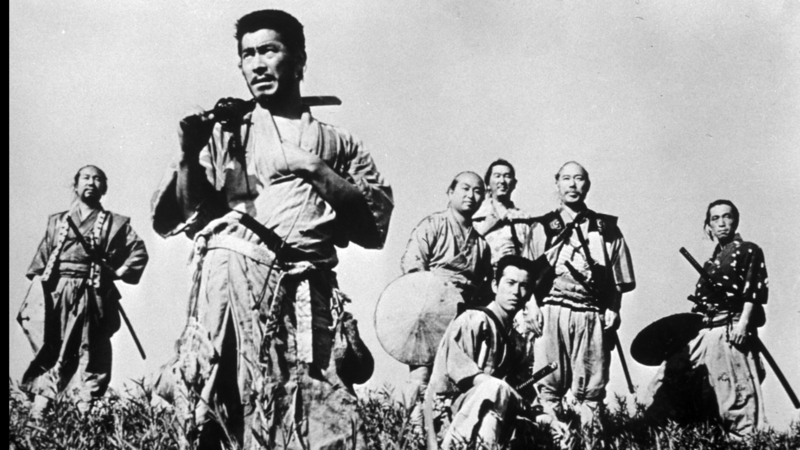 Working for much less than his normal fee the samurai gathers together a group of six other experienced fighters and along with the newly motivated and battle trained farm folk they defeat those that had been terrorising them. This comes at a cost though as only three of the warriors survive. 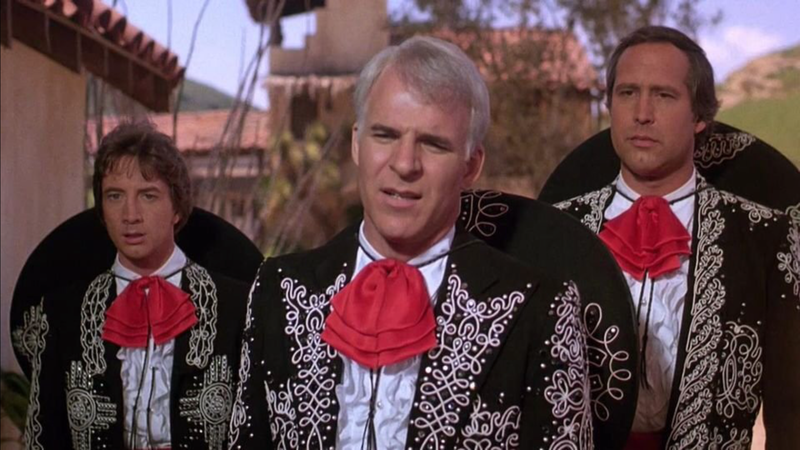 A pretty woman apparently persuades three film actors to help protect her village from group of vicious banditos. Thinking they are putting on a show and hoping for some fee the movie stars soon realise the reality of their situation and along with the newly motivated farm folk and some cheap special effects they defeat those that had been terrorising them. This comes at no cost though as all three of the actors survive. 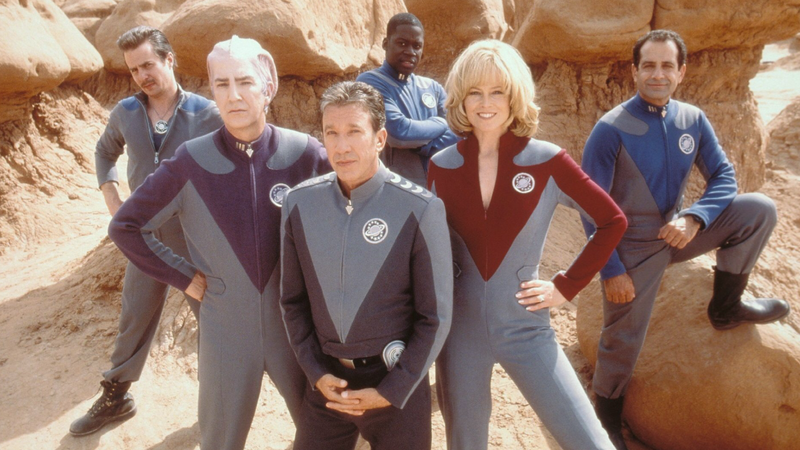 A alien apparently persuades the cast of a sci-fi TV show to help protect his planet from group of vicious invaders. Thinking they are putting on a show and hoping for some fee the actors soon realise the reality of their situation and along with the newly motivated aliens they defeat those that had been terrorising them. This comes at the cost of some alien lives but all of the actors survive. 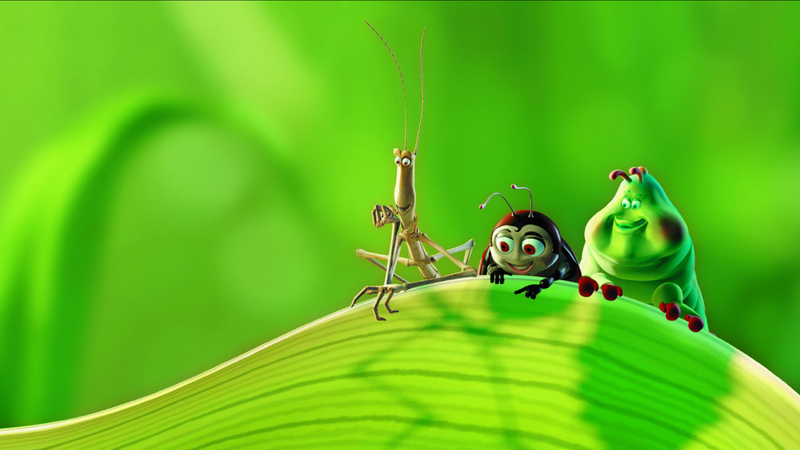 A plucky ant apparently persuades a theatre troupe to help protect his colony from group of vicious grasshoppers. Thinking they are putting on a show and hoping for some fee the theatre bugs soon realise the reality of their situation and along with the newly motivated insects masses they defeat those that had been terrorising them. This comes at little cost as everyone but the chief grasshopper survive. In a surprisingly dark turn for a kids film he is torn apart by birds. A pretty woman persuades an ageing gunslinger to help protect her rural village from group of vicious bandits. 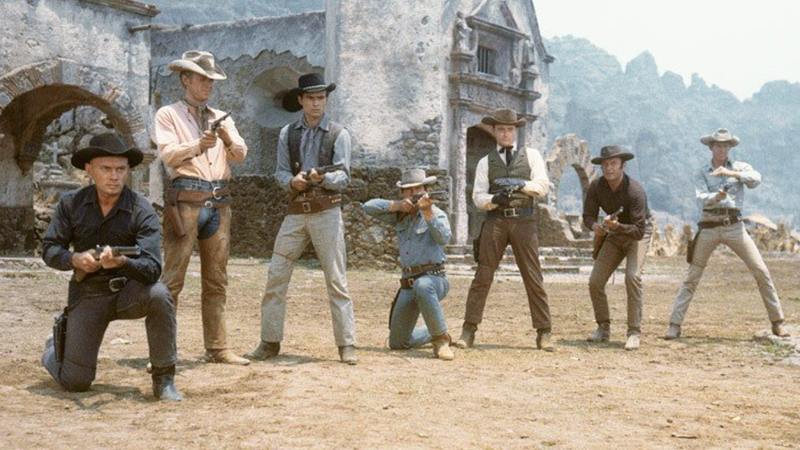 Working with what by now is a very tired plot line, the cowboy gathers together a group a six other experienced fighters and along with the newly motivated and battle trained farm folk they, quelle surprise, defeat those that had been terrorising them. This comes at a cost though as, wouldn’t you know it, only three of the warriors survive. A young man and a pretty woman he has just hooked up with persuade an ageing space trucker to help protect the man’s rural planet from group of vicious mutants. 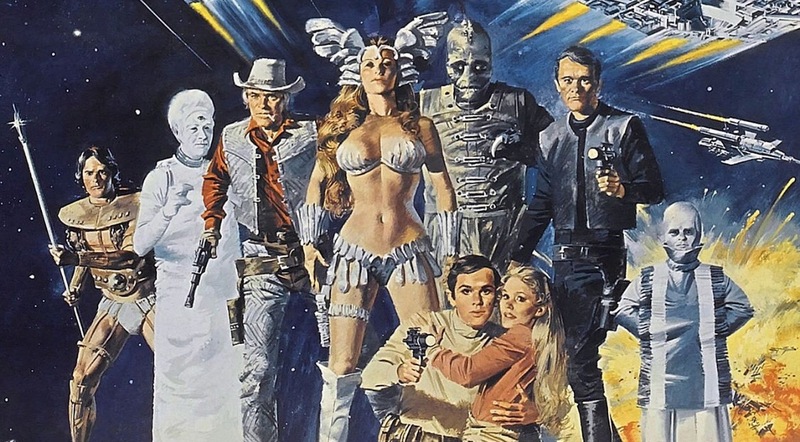 Working for the cheque, George Peppard gathers together a fleet of six other starships and a group of alien clones and along with the newly motivated and armed farm folk they defeat those that had been threatening them. This comes at a cost though as only two of the warriors and no one’s sense of dignity survives.